2015 to 2020 can be viewed here. Along with open meetings and visiting existing groups, a questionnaire was delivered to all Parish households with a 56% response rate. What local residents said informed the Community Led Plan. Acomb Parish Council extended an invitation to all residents to attend a public meeting in April 2012 to take forward and lead on a Community Led Plan. 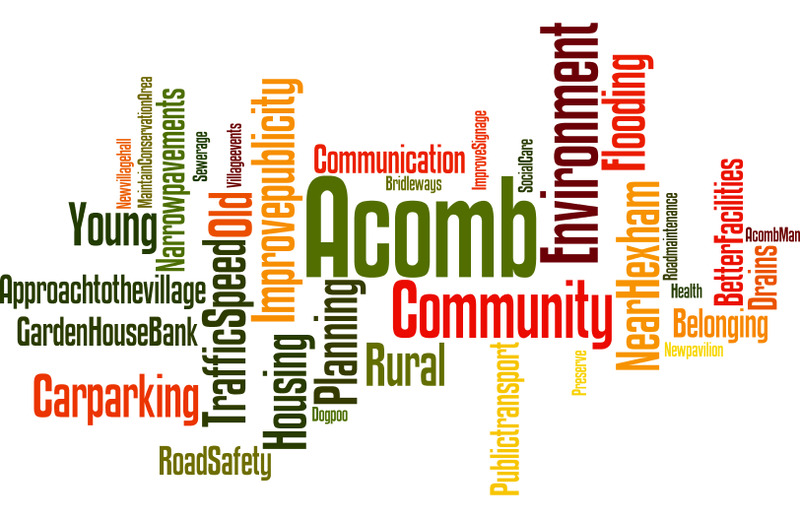 Action4Acomb (A4A) is the name of the Community Led Planning Group which was set up to assist in identifying and developing ways to improve the life of the community through the production of an Acomb Community Led Plan. A constituted committee was formed in October 2013, following a public meeting, to support the activities and projects of A4A with the guidance of Community Action Northumberland.